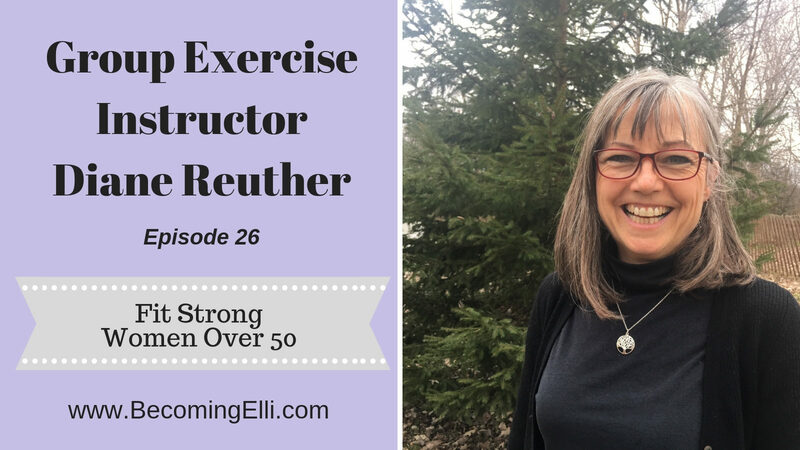 Group Exercise Instructor Diane Reuther talks with Jill McCauslin and Chris Brown about being fit as a woman over 50 in episode 26 of the Fit, Strong Women Over 50 podcast. We discuss why some of us like step class and why others don’t. Diane explains that step a visual class, walk through the steps repeating the motions so that the class feels like a dance class. Some of the questions that we ask Diane is how she defines fit and if we had only 15 minutes in a day to work out, what should we do. Diane says anything we do for fitness should be fun and safe. Also, she reminds us that the pool is our friend. Diane is an avid hiker. She and her husband hike a lot of trails close to home and Diane tells us about the wonderful sounding hiking vacation the two of them took. Chris said it sounded a lot like Janet Palcko’s hike on the Camino de Santiago. Jill is wondering if she should train for a hiking vacation. Our discussion with Diane was informative and enjoyable. She has some good advice for women over 50 who are trying to improve their fitness and health. Feel free to share your thoughts on this episode by calling our voice mail at 330-970-6662 or leaving a message at the Becoming Elli website.